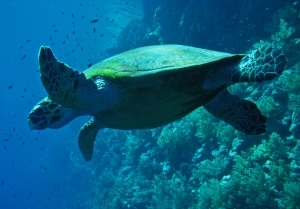 Are you a mother sea turtle? If you’re a creative person, maybe you should be. That’s the advice of Matthew Diffee, and I think he’s right. As artists, I think we can be held back by fear of failure. In our heads, we’ve already become critics, even before picking up the pen, pencil, or glue stick. It’s important to just go for it, and allow serendipity to play a part in the dance we call creativity. And finally, here’s one summary that I like a lot. Click on the link and scroll down to the section that starts “Best sesh.” I think the summary at the very end of the article is the important part. SXSW Day 3: It’s all about Bob (Marley) and creativity. Matthew Diffee, a cartoonist whose work appears in the New Yorker, defined his YEP! approach to idea generation at “How to be an idea factory” session at SXSW. … Caffeine kicks starts the “Process”, so he sits down with an empty sheet of paper and doesn’t stop the free flow of ideas until the paper is full and the pot of coffee is empty. About 10 years ago, I taught a class like that at Artfest. I have no idea how Pettis took only 20 minutes to cut the pages; some of my students spent the entire day cutting. (Yes, that was the last time I tried to teach that as a one-day class.) Usually, the cutting took me about an hour and a half, with breaks to keep my hand from cramping as I held the cutting blade. And then, I’d go back to cutting more pages in the book. It was tedious, but the finished altered books made it worthwhile. Today, I’d probably do a lot of the cutting with a Dremel tool or something. Yes, it could accidentally gouge some of the back cover, but if you use Pettis’ idea of putting a felt liner there, nobody will know if the Dremel got a little out of control. I’d also consider using a wood burning tool here & there, along the inside edges of the opening. That could look cool and antique-ish, and cover any raw or weird areas, as well. Tea staining could work, but it won’t be as good at disguising “oops” areas where the blade may have been sloppy. And, in a single-day workshop, the tea won’t dry quickly enough to move to the next step — sealing the edges — unless you use something like an embossing tool (heater) to dry the pages. This next video starts with some altered book ideas, but he’s using a board book and cutting out part of each page. Then, he wanders into some interesting mixed media techniques that might work well with the first (shrine-style) altered book, above. I hope those give you some creative ideas! I think I got a little bit confused on this one, but how can we differentiate being a mother turtle to fatalism? The explanation seems to be a little vague to me. This is great! I often do this with blog posts that I’d like to write about my travels, Istanbul, food or Turkey. I always have more ideas and photos than I have OR make the time to do! Maybe I’ll try “hatching” some more of my ideas. Do I get it right in this analogy? If I am a writer, my task is to keep churning out those ideas into words. Not all my work will be published or even get past the writing process, but I should just carry on as before. Your comments are excellent. I’m removing the CommentLuv only because you’re using multiple names and promoting one website (I’m on the fence about the Clara one and may yet remove that CommentLuv). While I like to help people working via Fiverr (or whatever), it starts looking like spam pretty quickly. Post as yourself with your real website link, and continue the dialogue, and I’ll be happy to keep the backlink in. Or, get some art-related clients so the backlinks are relevant to this website. Sheet music? Maybe one backlink. Dating tips for men? No. Meanwhile, here are my thoughts.